Location: South side of High Barn Street - Houses in Shaw Street now occupy the station site. Company on opening: Lancashire &Yorkshire Railway. 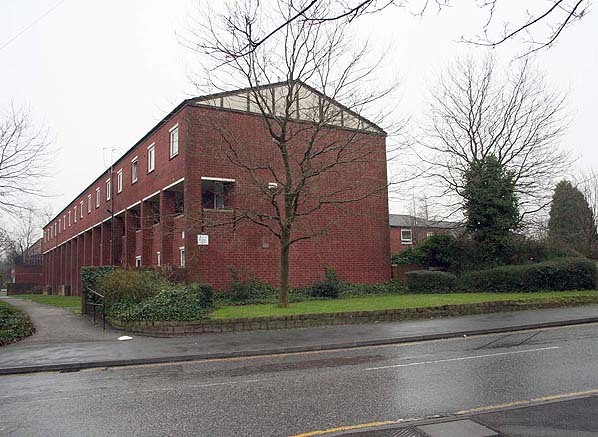 Present state: Demolished, site now redeveloped as a residential area (Shaw Street). Notes: Royton station was the terminus of a short branch that ran for just under one-and-a-quarter miles from the Lancashire & Yorkshire Railways (L&Y) Oldham Mumps to Rochdale line at Royton Junction. Royton was the only station on the branch. The line was opened primarily to serve the cotton-manufacturing town of Royton which had been missed by the Oldham Mumps to Rochdale line. was a single storey-brick building which contained a booking office in a booking hall, a ladies’ waiting room, a gentlemen’s toilet, an office for the stationmaster, a porters’ room and a lamp room. A canopy ran along the length of the building on its platform side. A water tower was provided at the east end of the platform. 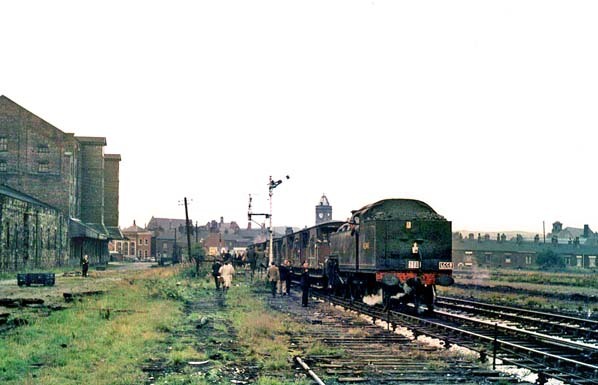 To the south of the station was a goods shed and, to its north, a number of sidings. From the start the station was well served by passenger trains, mostly running from Manchester Victoria to Royton via Oldham. 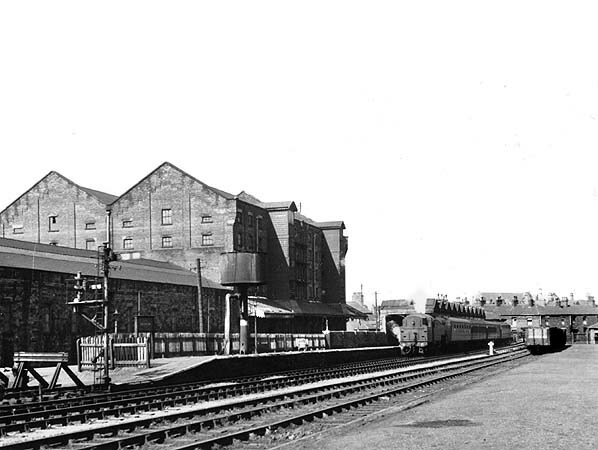 In 1922 eighteen services every weekday used the station. In 1923 Royton had become part of the London Midland Scottish Railway (LMS) which, in 1924, considered the branch for electrification as part of a project to electrify many heavily used passenger lines in the Manchester area. The electrification project was never taken forward. concern. 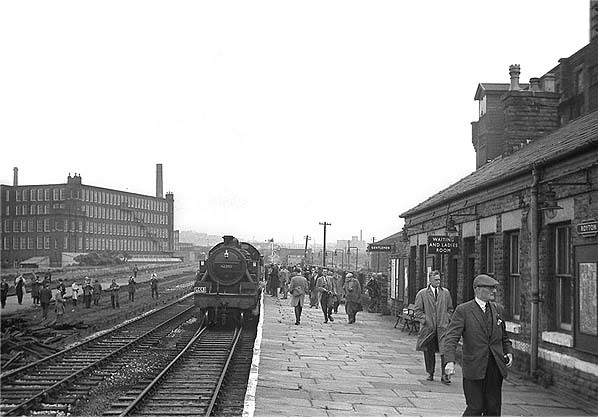 British Railways considered modernisation of the station, as it was seen as an important source of revenue. However the only action taken was to remove the canopy. In 1958 there were still up to seventeen services per weekday, but Sunday services had ceased by this time. In the early 1960s British Railways introduced two-car Diesel Multiple Units to the line which proved very popular, and even more passengers started to use the line. bogie became detached and fell into the cellar of one of the houses. Damage was also caused to adjacent properties in the terrace row. Fortunately one of the properties was a lock-up shop, unoccupied at the time, and, due to the early hour, the occupants of the other houses were upstairs. It was concluded that the driver mishandled the brakes, as well as unwittingly accelerating the train, on the 1 in 62 descent to Royton Station. Five people were injured. Despite the heavy passenger use the line was earmarked for closure in The Reshaping of British Railways (Beeching) report of 1963. 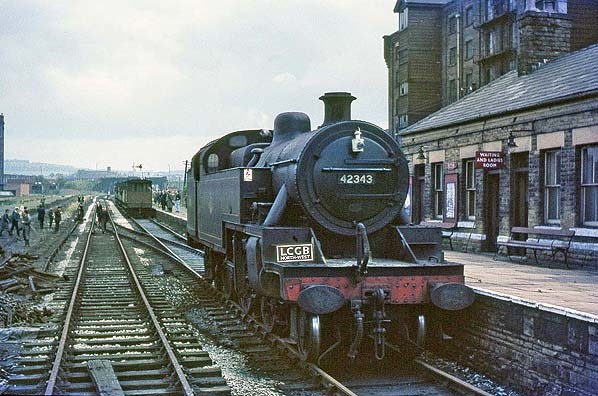 Goods services finished on 2nd November 1964, and the last passenger service departed from Royton at 18:50 on Saturday 16th April 1966; official closure took place on 18th April. Shortly afterwards the line was lifted, and the station was demolished. Today the site has been developed as a residential area. The adjacent Railway Hotel is the sole remaining indication that a station existed at this location. However, about ¼ mile south from the station site the Shaw Road over-bridge still exists, retained for use by a footpath along part of the track-bed towards Royton Junction. Dean Lane, Failsworth, Hollinwood, Oldham Werneth, Oldham Central, Oldham Mumps, Derker, Royton Junction, Shaw & Crompton, New Hey & Milnrow. of it there are goods sidings. Royton station shown on a OS map from the 1890s. 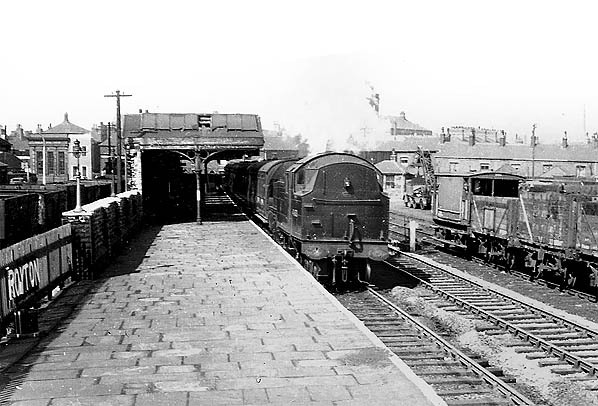 By the 1920s the railway facilities at Royton had expanded on both sides of the station. The goods facilities dwarfed the passenger station. this picture was taken the sidings had been lifted. for the return to Royton Junction. Having run around its train at Royton 42343 is seen coupling up to the brake vans. 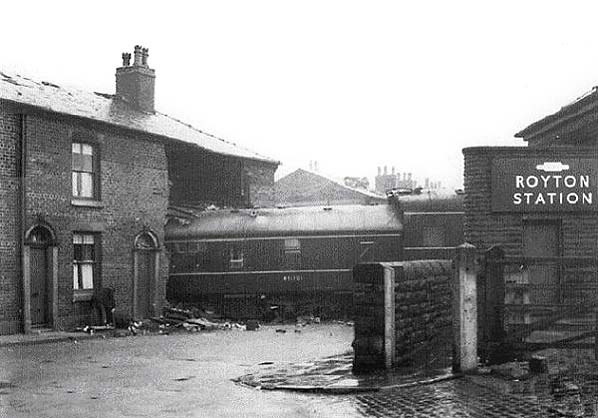 It would then depart for Royton Junction. The scene at Royton is one of desolation. the line of the platform and trackbed.